A disengaged workforce is one of the most costly problems most organizations face. The global economy experiences $7 trillion in lost productivity annually because of poor employee engagement. $7,000,000,000,000! That’s a lot of zeros. The good news is that group behavior norms offer a viable and measurable solution. According to Gallup’s recent State of the Global Workplace report, 18 percent of the global workforce is actively disengaged and 67 percent are not engaged for a staggering total of 85 percent of employees worldwide. The majority of employees, the 67 percent who are not engaged, are typically not seen as the worst performers. They show up but they do not provide their best efforts or their best ideas. More likely then not, this is because they haven’t been asked to do any better. Or, it they tried to do their best in the past, the behavior of co-workers and managers discouraged that effort going forward. This points to both a people management problem and poor group behavior norms. The result is a work a culture of apathy, low commitment levels and disengaged employees. What’s the solution? Executives and Boards of Directors benefit from taking a look at their organization’s work culture climate. Do current behaviors serve engagement? Are employees managed as people? Are work relationships viewed as important? If each of these questions can be answered affirmatively, then the conditions exist to create a stable and productive work environment. Once strategies are implemented to improve group behavior norms, you will likely find that the actively disengaged employees will leave of their own accord.n This makes room for motivated and engaged employees to take their place. Assess the culture to improve group behavior norms. According to Gallup research, employees are looking for more than just a paycheck from their employers. Employees want to be passionate about their positions. They also , are looking for personal and professional development. This means that they want to be coached on how to do better, and this doesn’t take place at a yearly review. Employees desire regular feedback in the important areas of their work. If you don’t know how your team members feel about how their group functions, then the first step is to evaluate the department’s group behavior norms. 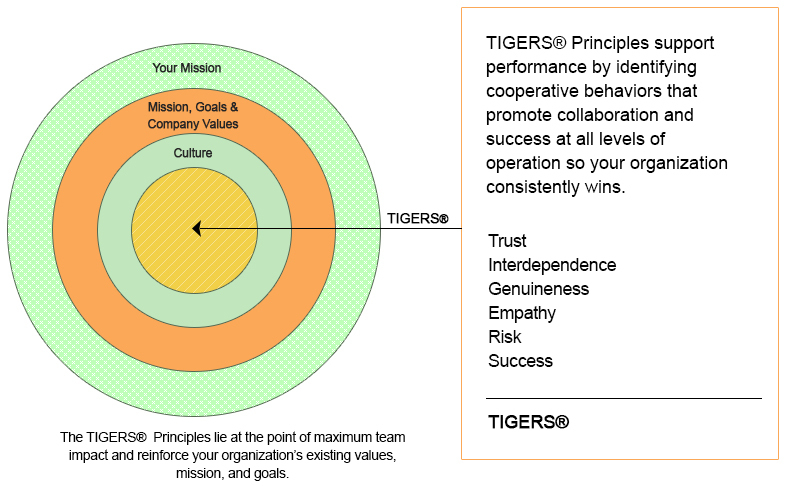 One great place to start is with the TIGERS Workforce Behavioral Profile™, which assesses the level of trust, interdependence, genuineness, empathy, risk resolution and success in work groups. These six principles are required for high performance group behavior and serve as a catalyst for establishing group behavior norms that make goals, roles and relationships superior and attainable. If existing group cooperation and high-performance team behavior is desired, then this unique profile offers strategic information for transforming disengagement into high performance employee and group outcomes over time. Train your leaders to improve group behavior norms. Changing your workplace climate starts at the top. If leaders aren’t willing to change their own behavior, then you can’t expect other team members to change theirs. Ongoing leadership training goes a long way in creating leaders who are engaged themselves and inspired to better-manage their teams. 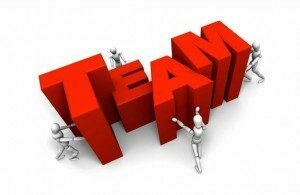 Facilitating high performance employee teams does not evolve by chance and requires intention and commitment on the part of leaders to facilitate group dynamics the right way. Managers who are good facilitators bring people together to work toward solutions, and as a result, groups accomplish more with high levels of commitment and accountability. Enforce expectations to improve group behavior norms. Once leaders evaluate their work culture and are trained to facilitate high-performing teams, then they can effectively establish expectations for their employees. Gallup research finds that 50 percent of employees do not clearly know what is expected of them on a daily basis. This includes behavior. Employees cannot perform to the best of their abilities on a daily basis when they do not understand work and behavior expectations. They are unable to achieve larger long-term goals that contribute to the organization’s big picture. To build trust in the workplace, leaders must establish clear expectations and goals with each of their employees on a one-on-one and regular basis. They must also provide focused and future-oriented feedback. These strategies creates individualized accountability for both the leader and the employee. Both parties need to be held accountable for all improvement strategies and development efforts to be successful. The global workforce is currently losing $7 trillion in lost productivity because of employee disengagement. A staggering 85 percent of employees worldwide are either actively disengaged or not engaged in their positions. Most of these employees wouldn’t be considered a bad employee. But, these employees are typically just showing up, putting in their time and are not offering their best performance or best ideas. To correct the problem assess your work culture by focusing on group behavior norms and then train your leaders to facilitate groups the correct way. Care to dig deeper into the conversation about group behavior norms? For more information or to request a presentation to your group or association, call 1+877-538-2822.